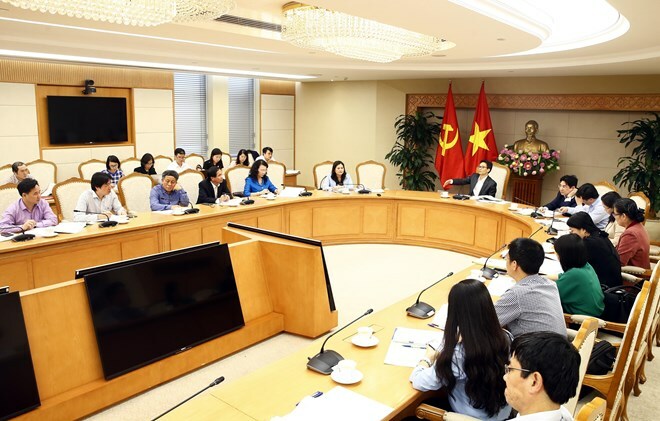 Hanoi, (VNA) – Vietnam still lacks mechanisms to prevent the abuse of children in various forms and support children victims, participants said at the second meeting of the National Committee for Children in Hanoi on March 22. Many opinions said the abuse of children is still dealt with on a case-by-case basis, and the revision of legal documents so as to correct out-of-date regulations or close existing loopholes has not received due attention. In a report to the meeting, Deputy Minister of Labour, Invalids and Social Affairs Nguyen Thi Ha said socio-political and social organisations have played a greater role in providing children protection services and supporting children victims of violence and sexual abuse. She said last year the national children protection hotline 111 provided consultation for 27,407 cases and interference help in 806 cases. The Vietnam Association for Protection of Children’s Right received petitions and joined in the handling of 41 cases, with nearly half of them related to abuse of children and 30 percent related to disputes in child custody. However, violence against and abuse of children are still reported in most provinces and cities, with 1,356 cases discovered in 2018. Child injuries and deaths due to accidents remain at high levels, particularly in road and drowning accidents, with the most recent case involving the drowning of eight children in the northern province of Hoa Binh on March 21. Chairwoman of the Vietnam Association for Protection of Children’s Right Nguyen Thi Thanh Hoa noted that the awareness of families and children about their responsibility for ensuring children’s rights. They also lack skills about preventing and handling violence against and sexual abuse of children. Hoa recommended providing books on children’s rights and measures to protect children for school libraries, and tightening supervision work at grassroots levels. She also urged building child-friendly procedures to encourage families and children to report incidents to authorities. Deputy Prime Minister and Chairman of the National Committee for Children Vu Duc Dam assigned the labour-invalids-social affairs, medical and educational sectors to work with youth and women’s organisations to build child protection networks in communes and wards. He instructed the National Committee for Children to hold thematic conferences to share experience and skills in child protection and discuss new issues such as the child-friendly investigation model and children’s courts.